The Avalon Limited’s optional pre-crash front seatbelts will tighten automatically in the event the vehicle detects an impending crash, improving protection against injury significantly. The Accord Sedan doesn’t offer pre-crash pretensioners. Toyota pays for scheduled maintenance on the Avalon for 2 years and 25000 miles. Toyota will pay for oil changes, lubrication and any other required maintenance. Honda doesn’t pay scheduled maintenance for the Accord Sedan. The camshafts in the Avalon’s engine are driven by a hardened steel chain, with no maintenance needs. The Accord Sedan EX-L V6/Touring 3.5 SOHC V6’s camshafts are driven by a rubber belt that needs periodic replacement. If the Accord Sedan’s cam drive belt breaks the engine could be severely damaged when the pistons hit the opened valves. J.D. Power and Associates rated the Avalon third among large cars in their 2013 Initial Quality Study. The Accord Sedan isn’t in the top three in its category. The Avalon’s 3.5 DOHC V6 produces 83 more horsepower (268 vs. 185) and 67 lbs.-ft. more torque (248 vs. 181) than the Accord Sedan’s standard 2.4 DOHC 4 cyl. 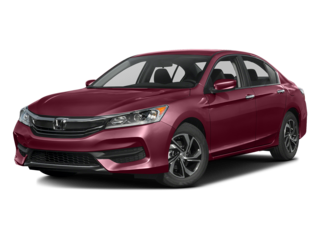 The Avalon’s 3.5 DOHC V6 produces 79 more horsepower (268 vs. 189) and 66 lbs.-ft. more torque (248 vs. 182) than the Accord Sedan Sport’s standard 2.4 DOHC 4 cyl. 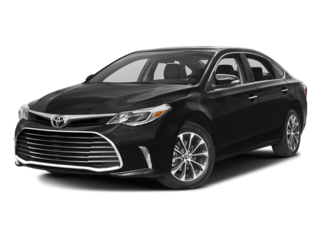 As tested in Motor Trend the Toyota Avalon is faster than the Honda Accord Sedan 4 cyl.